I love trying out all the varieties of makeup removers these days from cleansers to balms, removing oils and, today’s feature, micellar water. I don’t have a particular favorite type of remover, but I do have a favorite brand within each. 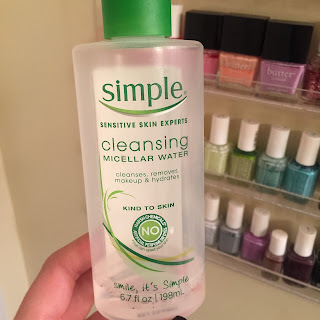 For micellar water though, is has to be Simple’s Cleansing Micellar Water, which I find to be so gentle and thorough at removing my makeup. If you’re wondering what micellar water is let me fill ya in. Micelles are tiny cleansing oil molecules that draw out dirt, makeup, anything yuck you don’t want at the end of the day, leaving your skin cleansed and pure. This particular micellar water has Vitamin C and B3, which helps to hydrate and purify skin as you’re removing makeup. 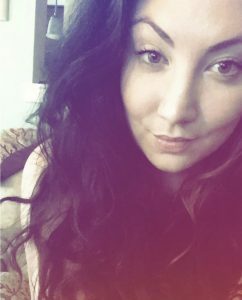 Another part about Simple’s Micellar Water that I love is how fresh and pure my skin feels after using it. There’s no residue, & you don’t need to rinse after use. Since the solution using Triple Purified Water, it leaves you with such a clean and great feeling. Simple’s Micellar Water is perfect for removing your more everyday makeup, versus heavier makeup and eye makeup. I love using it nightly, and the price point is almost too good to be true. Def pick it up next time you’re in your local drugstore, Ulta, or Target!